"After a night of questionable decisions, Tomas wakes up to a full day of unfortunate events. Although at times humorous, Tomas is faced with the bitter reality of his relationship with those around him-good and bad. "Eager to learn what really happened, he sets out to pick up these pieces from the night before. 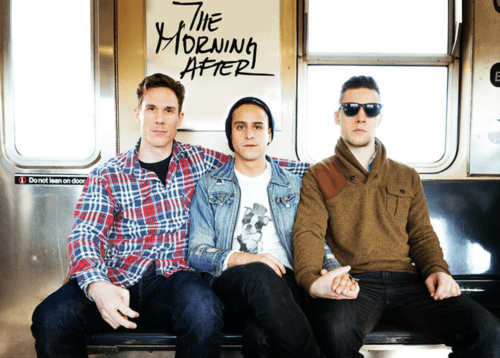 The Morning After deals with toxic relationships and assuming the consequences to our most regrettable actions, while dealing with the LGBT subject matter that resembles real life more so than its current portrayal in the media." In a statement on The Morning After webpage, Flores states he was inspired to create the film as an alternative to the entertainment industry's one-dimensional stereotypes and offer a diverse, representative look at our nation's diverse culture. "The Morning After is a direct response to this problem. By creating a story that puts different characters under circumstances usually portrayed by your typical Caucasian 20-something with narrow socio-economic backgrounds, I ever so subtly aim to change the perspective that the people have of us in the media. Sure, it might seem like something you've heard or seen before at first, but that is exactly the point- to prove that we can have the same storylines, problems, LIVES, as the other people on screen. "The Morning After is a story most of us have experienced, often regretted, but not often confess. It is my stepping stone into discovering a wide array of interesting characters that reflect the present day New York that I know to be true." Notable cast members include Stephen Hanna from the Broadway cast of Billy Elliot The Musical and On The Town, The Morning After Co-Producer Lauren Monroe, Rutgers University graduate and Associate Teacher of Fitzmaurice Voicework Craig MacArthur, drummer Rob Raco of The Brilliancy, Comedian and Umbrellababes creator Jason Burke, web series The Happiest People in New York creator Rebecca Steele and UCB Improv performer Caleb Schaaf. Shooting is scheduled for February in New York City. The campaign closes on Jan. 24, and as of today has raised $1,155 of it’s $5,500 total. Donation reward increments for sponsors range from receiving a DVD copy of the film to a night out on the town with the producers and cast, an improv show and dinner. You can follow the film’s developments on The Morning After’s official webpage and Facebook page.